Mini Dresden Block Instructions are Included! 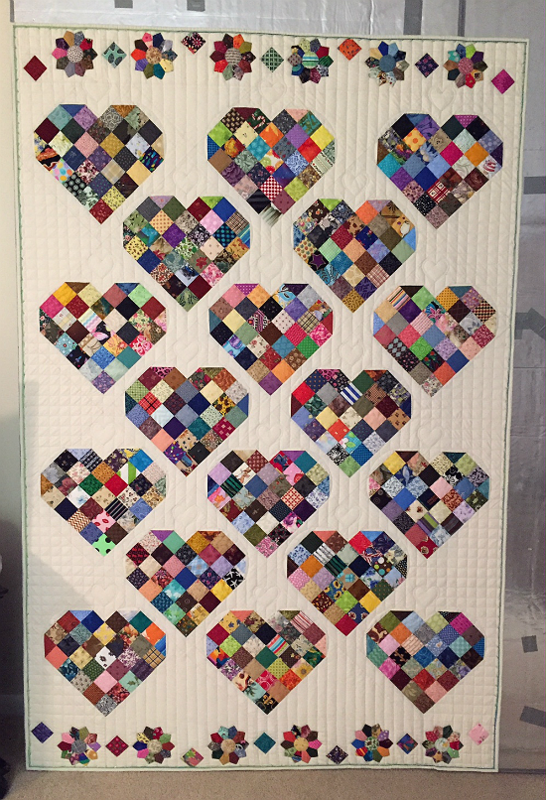 Go through your stash and pull out a wide variety of 2 1/2″ squares for blocks like those in this beautiful quilt. This is a great project for using up leftover charm squares, jelly roll strips and scraps. Or, choose several mini (candy) charm packs of coordinated 2 1/2″ squares. White makes a lovely background or go with whatever color works nicely with your patches. 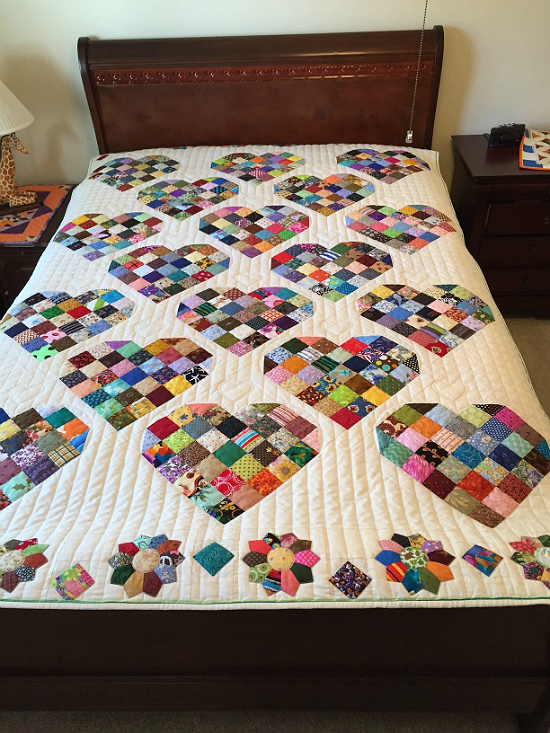 The quilt shown here, by @JENNR8R is made from several heart blocks. Mini Dresden Plate blocks are lined up across each end. Learn more about the quilt here. While we don’t have a complete pattern, instructions are available for both the heart and Dresden Plate blocks. Have fun configuring them however you wish into a quilt. 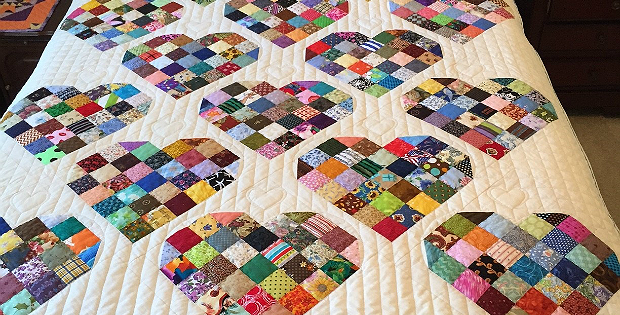 Also, one heart block makes a lovely mini quilt for your wall or table. 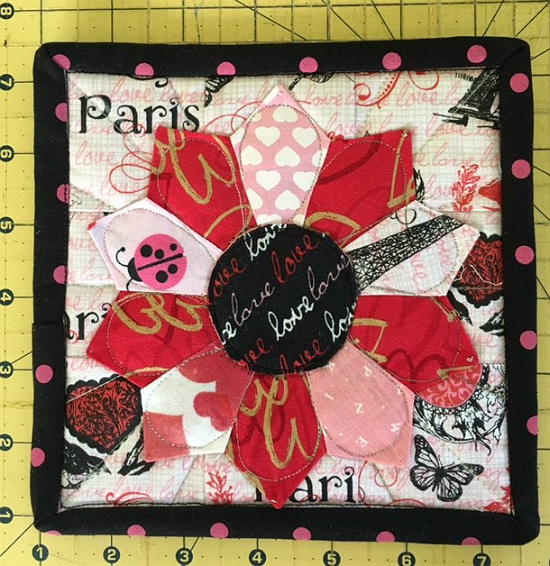 The following quilt is by @Leesewzany who added background patches to square off the heart (scroll down here for her original post). 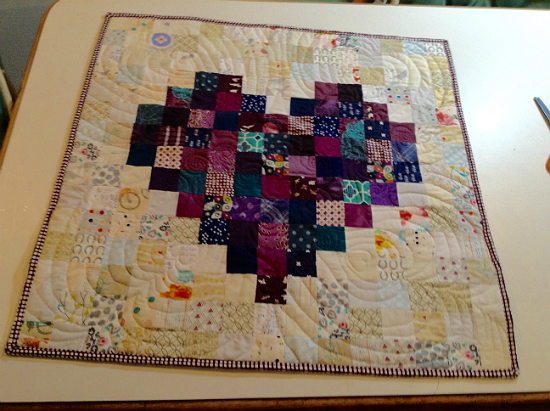 The finished block is 12″ square. Click here for the free “Valentine Candy Block” tutorial. The Dresden Plate block was designed by @SheriR and finishes at 6 3/4″ square. Click here for the free “Candy Dresden Wall Hanging/Mug Rug” block tutorial. Look for the “Candy Dresden Template” PDF link under the bottom photo in Step 1.